For this week’s SomeDrones.com podcast, we were lucky enough to have the number two FPV racer in the world, Brian Morris. 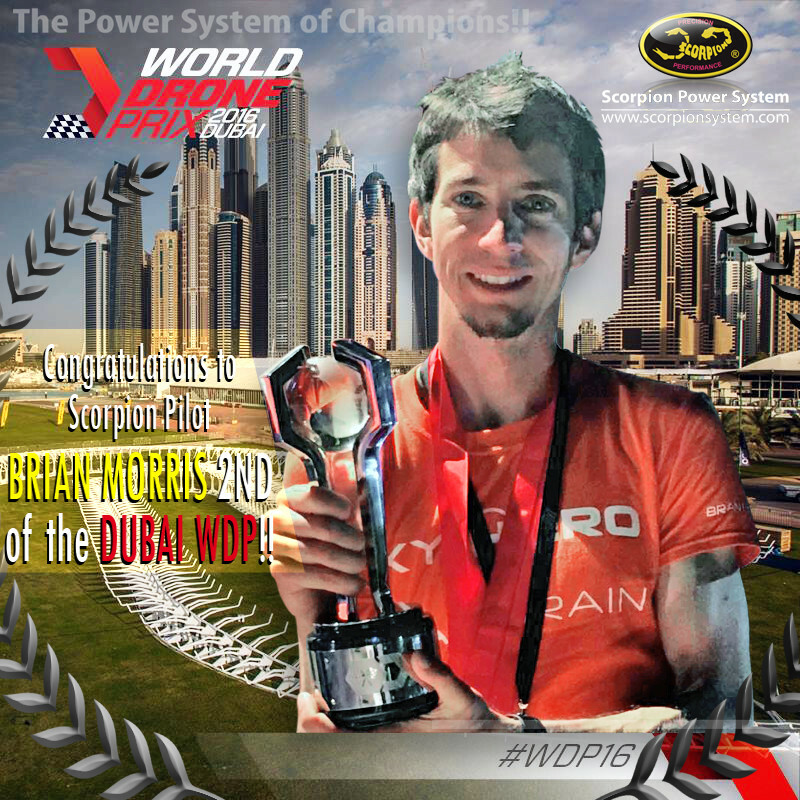 Brian – who most of you probably know as BrainDrain – talked with us about his recent trip to Dubai, his start in racing, his thoughts on the upcoming Drone Nationals, the future of the sport, and the changes he’d like to see made in the world of FPV Racing. One the topics Brian covered during the interview is a topic that’s been on the minds of FPV pilots and fans alike since the announcement that ESPN would be covering the Drone Nationals, how do you make FPV racing a spectator sport? Anybody that’s been to a drone race – either as a pilot or a fan – will tell you that there's a lot of downtime between races, and the races themselves are rarely more than 1-2 minutes long. For ESPN or any other network that wants to cover these races live, that means a lot of dead air. Thankfully, there are a lot of very intelligent people at ESPN who have their fair share of experience when handling live events, but it looks like the solution to this problem can be broken down into two main categories, increased flight time and decreased downtime. Increased flight time will come with improved technology. A longer lasting battery means a longer lasting race. That seems pretty obvious, right? Unfortunately, a longer lasting battery also means more weight, and added weight is a big no-no for FPV racers who are all about light and fast. Light and fast also means harder to see for the spectators. ESPN is handling this problem on one end with an FPV view for the people watching at home, but if FPV racing is truly to become a spectator sport it has to become more accommodating to the people in the grandstands. Decreasing the downtime in between races is another problem that professional FPV racing has to deal with, and this one’s a little more difficult to solve. Organizing a race takes time, in any sport not just drone racing. For the fans watching on TV it’s not that big of a deal. Whatever network is broadcasting the event can fill in the gaps with pilot interviews, human interest pieces, behind the scenes looks, etc. Again, it’s the “live viewer”, the fan in the stands, that has to deal with the brunt of this obstacle.